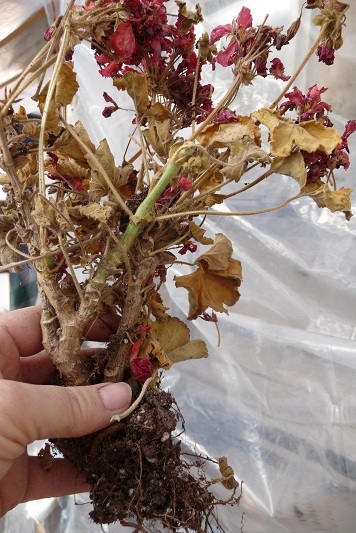 I originally wrote this post late last fall, but I had to "re-post" it again since the response was great on the original, but also because the amazing deep red geranium that I spoke of in the first post was successfully overwintered using "option #2 below. This geranium impressed me so much in its first summer with its deep green leaves, and phenomenal blooms I just had to try overwintering and I sure am glad I did. This year I'm overwintering six new geraniums, and I can't wait to see what I get in the spring. 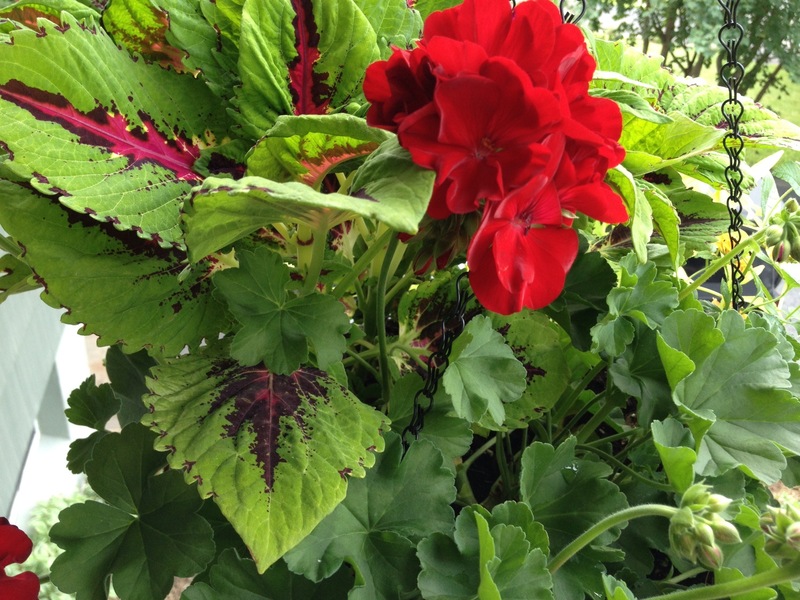 So if you have geraniums that you just can't bare to compost, take a look at the options I've outlined below for overwintering, and I guarantee you won't be disappointed. If your geranium is located in a flowerpot like mine is, bring it inside and don't water it. Store it in the same environment you would uprooted plant. Check on the plants occasionally, and add a little water to the soil once in a while to keep them barely alive. Next spring, remove the dead areas and begin watering, again I suggest Authentic Haven Natural Brew for a nice boost, which can be found at http://www.manuretea.com. Place them in a sunny window, and voilà! This entry was posted in DIY, Gardening Tips, Homeowner, Indoor Gardening, Landscaping, Uncategorized and tagged Biology, Facebook, Flora and Fauna, Garden, garden care, Geranium, Home, kink free garden hose, lawn and garden care, Pelargonium, Plant, Twitter. Bookmark the permalink.